Included in the Gold Membership is a hand-selected offering of (6) PAYNE-MASON 100% hand rolled premium cigars. 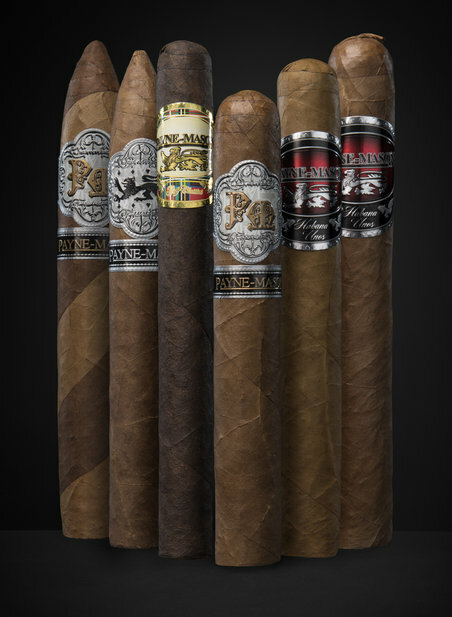 These cigars are chosen from our 4 main product lines: Black Lion, Reserva Selecta, Habana Estilo Reserve, and Habana Estila Corona. On occasion, we will also include cigars from new or private selections not generally available. Also included in your membership is a 20% discount on all PAYNE-MASON cigar and accessory purchases.